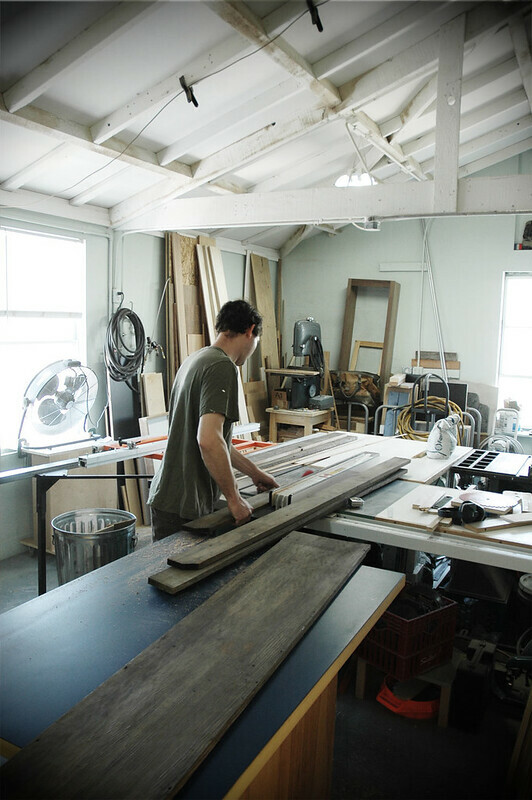 One of the great advantages of our shop location is that we have easy access to many other shops, from sand and shot blasting to galvanizing, grinding, metal stamping, woodworking and even upholstery . And just down the way is Ian at MacIron Craftworks, a local woodworker. Ian does some amazing fine detail work, and we’ve worked with him a few times on projects – most recently welding a steel frame for a 1500lb aquarium he was building a cabinet for. 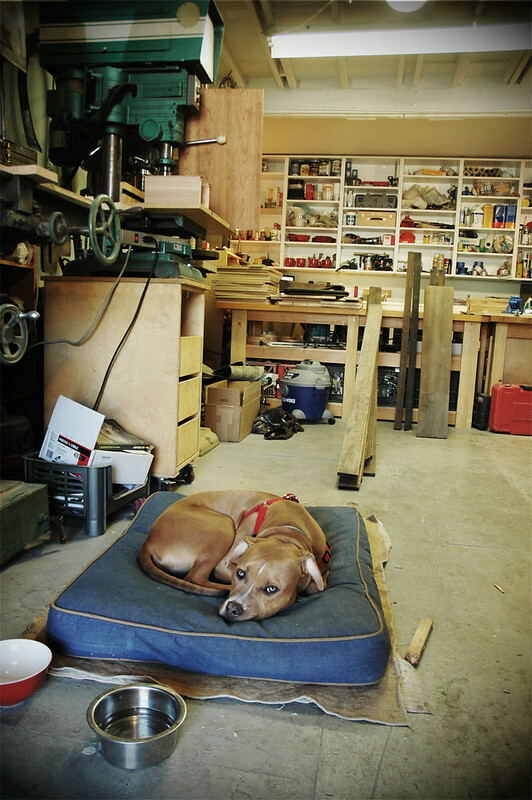 He’s also got an awesome shop dog / pit bull pup named buster. The best thing about the relationship is that he walks over here and is blown away by the ease at which we can press out bearings and cut through metal and we get to stand back in awe after we explain what seems to be a very complicated woodworking problem we’ve got and he pulls out a tool specially designed for that purpose. If you’re looking for someone to do quality cabinetry, built-ins, murphy beds… give him a call.